Gattuso had the common sense to lineup the 4-3-3 again. 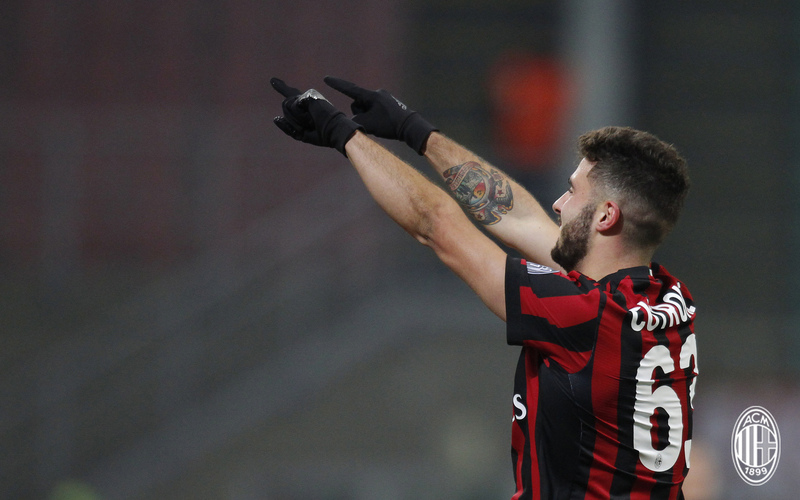 And he was rewarded by Suso in the 22nd minute, who opened the scoring, 1-0 Milan. 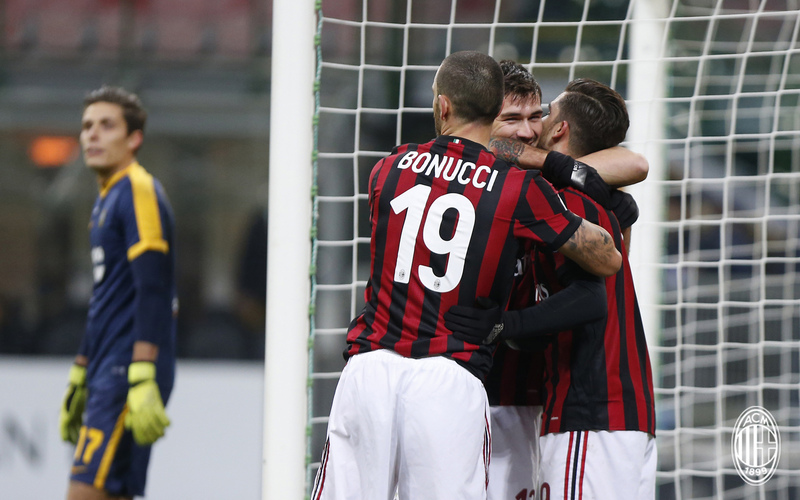 That was followed by a Romagnoli tap-in in the 30th minute, 2-0 Milan. 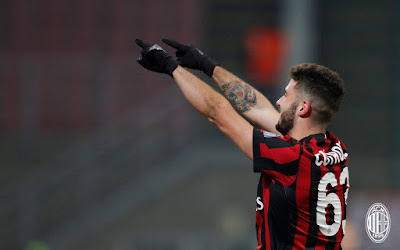 Cutrone tripled our pleasure with a great header in the 55th from a Suso cross. 3-0 Milan. To be fair, Verona didn’t really put up much of a fight. But it was amazing to see the joy on the faces of the players again, who really and truly seem to be happy with this formation. One player who was not happy was Gigio Donnarumma. The Curva showed a banner which read “Now go! Our patience is finished!” You see, those morons lost their patience with our world class goalkeeper who has been playing amazing all season because of lies and gossip they read on social media. I haven’t even been able to find actual quotes that Raiola said what the media say he did, it is all a bunch of clickbait those scumsucking bottomfeeder journalists use to keep their jobs. The media has stirred this whole thing up. They want clicks, so an 18 year-old gets abused by people claiming to be his fans. That is messed up. Donnarumma never asked to leave, never said anything about any of this, and we have absolutely no reason to be upset with him. None. But that doesn’t stop the degenerate criminals of the Curva Sud from doing what they do best: abusing our own players and damaging our own team. During a game. Not only did those depraved, mindless imbeciles show their childish protest of one of our best players, they hurled insults at him ahead of the game, then whistled him every time he touched the ball. What is wrong with people that they think this is okay? Even if he had wanted to leave, this is not how to treat a player wearing your crest. And they didn’t learn from De Sciglio – a player who fulfilled their fears after being abused by them. If Donnarumma leaves, it will be on the Curva and the idiots on social media who believe this crap and spread it around. None of this would have to happen if everyone had a little common sense. We were told at the beginning of the season that if we don’t make Champions League, we will have to sell a big player. Donnarumma is the most marketable player. Common sense tells us he could very likely leave our club. We don’t want it, we don’t like it, but that’s football. So let’s enjoy every game we have with him, shall we? And listen to the club, where official statements deny every stupid rumor those foolish cretin journalists have been spreading all week. Well that, and have some human decency. Since when have rumors about someone been more important than the things they actually say and do? Those people in the stadium and people spreading these lies on social media make me sick. If they even had one iota of common sense, none of this would have happened. At least we won the game. Which bodes well for our trip to Verona on Sunday in the league. And we also go on to face Inter in the next round, on December 27th. The same Inter that nearly crashed out of the Coppa Italia at the hands of Lega Pro side Pordenone yesterday. Hopefully they underestimate us, too. Because we have a massive liability in our many, many douchebag fans. And I’m not sure which team they’ll be rooting for on the 27th, to be honest. It would all be so very different if only people had just the smallest bit of common sense.